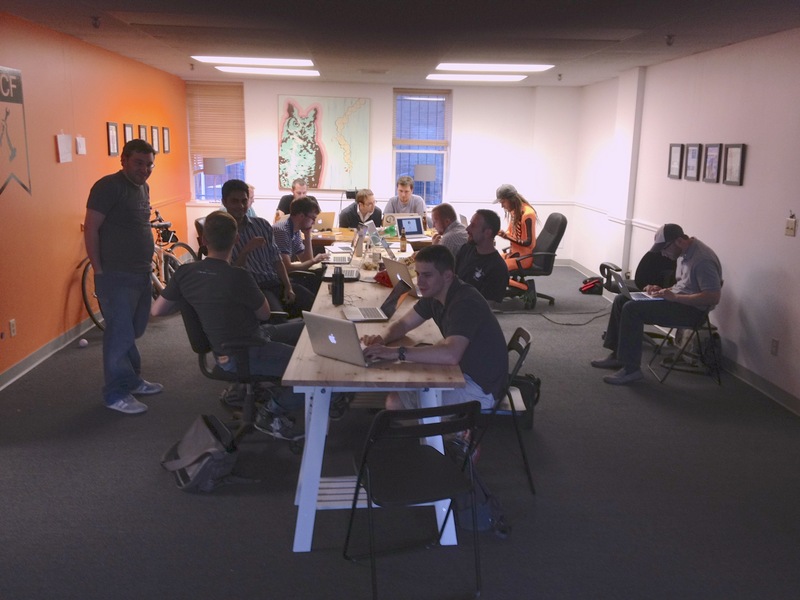 We had our first one last Thursday, at the SeeClickFix offices, and had a great turn out – about 15 people! Even Denis came out to join us. We were hacking on web apps for coordinating tasks, on ruby for reformatting other ruby, and some of us were just discovering programming for the first time. Our next one is Wednesday, June 20th, and will again be at SeeClickFix, where free parking is just around the corner, and good pizza delivers. New Haven’s newest hackerspace, MakeHaven, is also around the corner, and there’s talk of doing a visit at some point. I’ll be there, probably hacking on an app for printing fliers for user groups, or an IRC bot for the group, or a regular expression parser, or some Project Euler problems.